this machine is used to produce casting type (casting bandage). 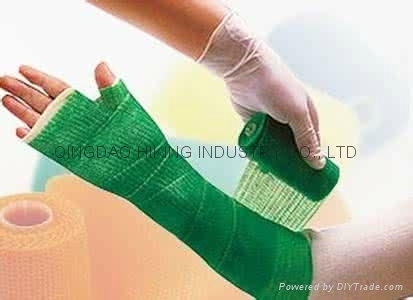 casting type (casting bandage) is new products. it is instead of POP bandage. it is much lighter and stronger than traditional POP bandage. easy use and easy cut off.